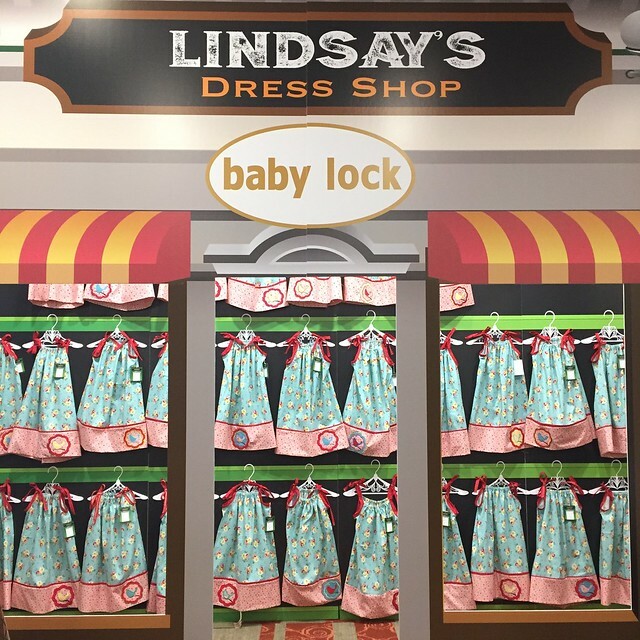 Last week, I had the privilege of attending Baby Lock's Common Threads 2016 event in St. Louis at Tacony Headquarters. I went last year, and it was tons of fun, so I couldn't wait to go back and touch base with my sewing friends and meet some new ones! I arrived in St. Louis by plane this year, and I was so exciting about my nap. I went for a jog in the hotel, and ran into some friends who invited me to lunch. Okay, the nap can wait! That's the thing about Common Threads. It's over too fast, so you want to maximize every minute of sewing and catching up with friends! 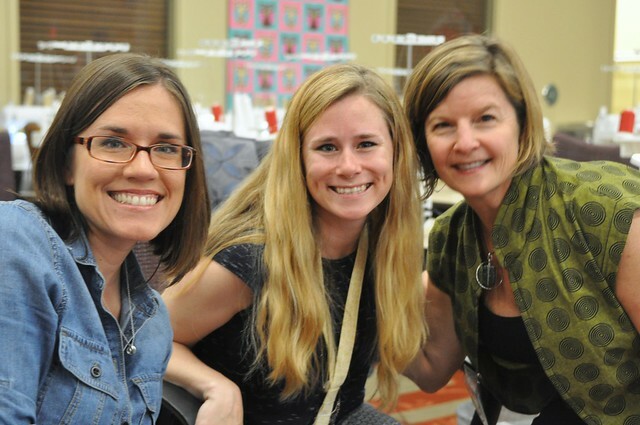 Here are some new sewing peeps I met this year: Jessica Ziebarth of Sew News magazine and Amy Barickman. During our open sewing time Thursday night, everyone was jaw-dropped and in love with this draped dress Truly Alvarenga was working on. She brought the mannequin back to her hotel to work on it that night! While on site, we sewed on the Baby Lock Destiny, an epic computerized sewing, embroidery and quilting machine! 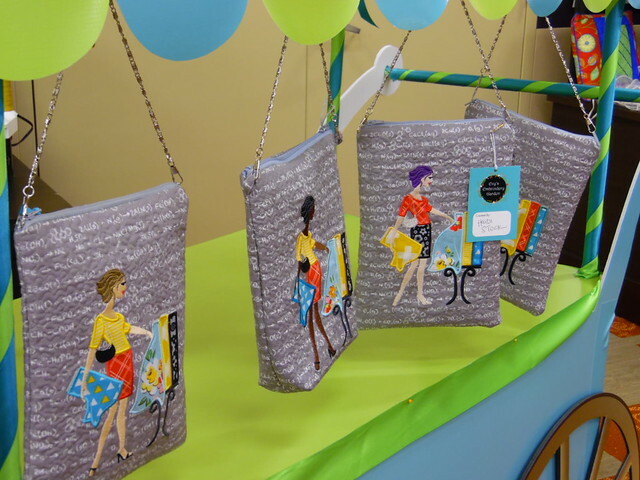 This purse was a fun project taught by Evy Hawkins of A Bit of Stitch. I can't believe I made it! 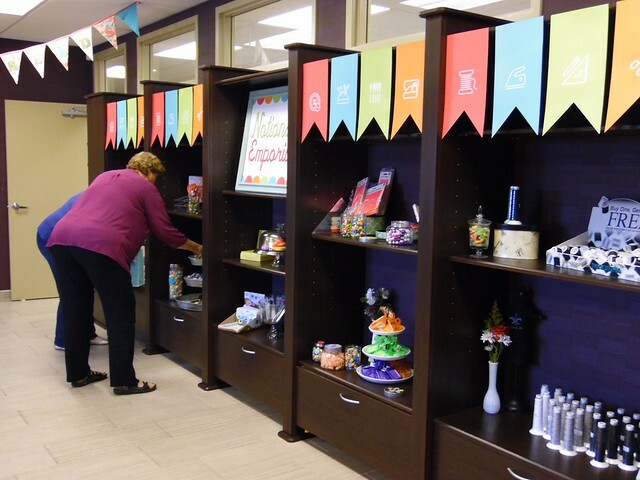 In addition to sending us home with a swag bag with a little something from the attendees, Baby Lock set us loose on this wall of notions filled with Madeira thread, scissors, snips, rulers, candy(!) and more. The sign said, "Grab a Bag, Take Some Swag!" so we did. 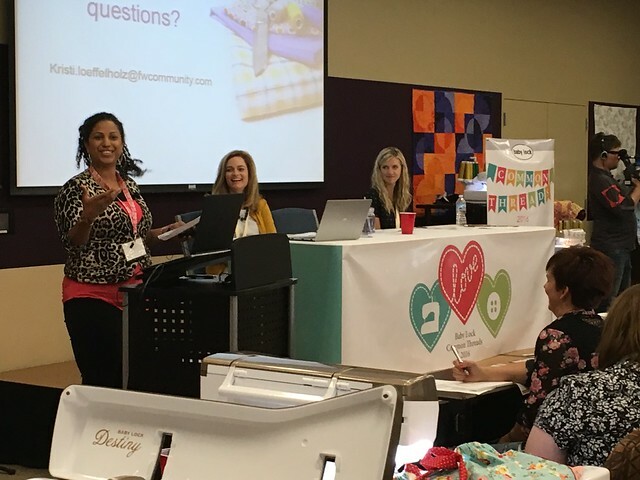 One of my favorite parts of the conference was hearing from the other attendees about their passions, and how they see themselves within the sewing industry. This Influence Panel with Vanessa Vargas Wilson (Crafty Gemini), Kristi Loeffelholz (F+W Media) and Dana Willard (Made Everyday) touched on sewing trends in America, partnerships within the industry and Instagram. I learned a lot from these women! 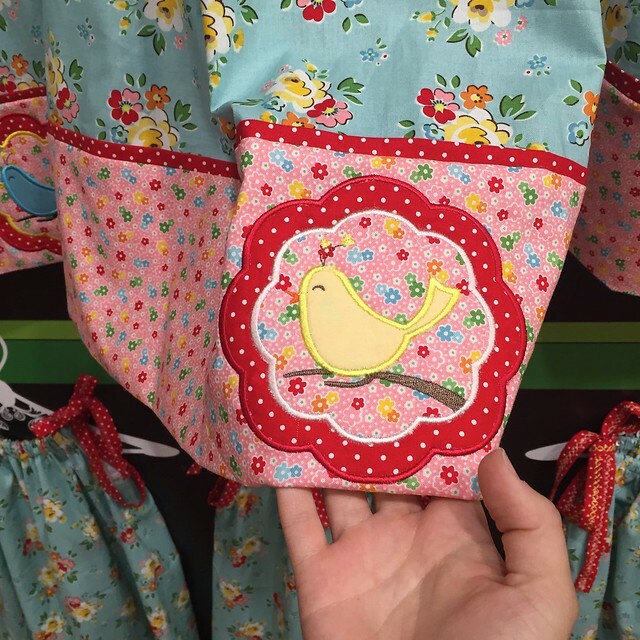 Another project we all sewed was a pillowcase dress with an embroidered flower and bird. These dresses will be donated to Little Dresses for Africa, and amazing organization that has delivered more than 5 million dresses to girls in need! Lindsay Wilkes of The Cottage Mama talked us through this project, and Riley Blake donated all of our fabrics for the weekend. Just look at the finished dresses! 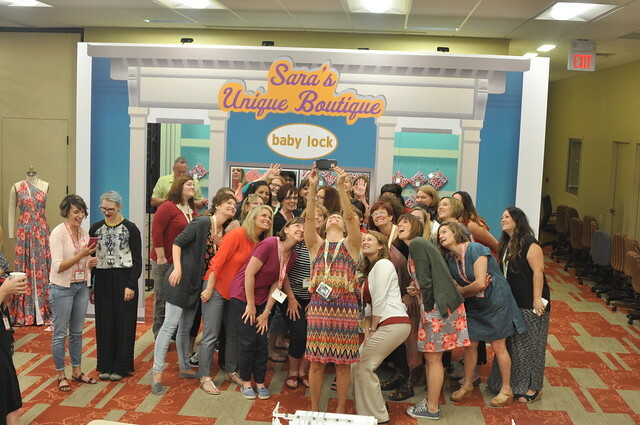 I am so grateful to Baby Lock and the wonderful team there for inviting me to such a fun and welcoming event. Being on site for the second time, I was really struck by how much the staff there just LOVE their jobs. Because many of them are sewists, too, they are right with us in our love of fabric and sewing, and they did everything possible to make us feel right at home. Thanks Barbara! I just received word that the contest would not be ready until 6/24, so I've updated my post. Please come back in a week if you'd like to win the swag bag! Sorry for any inconvenience!